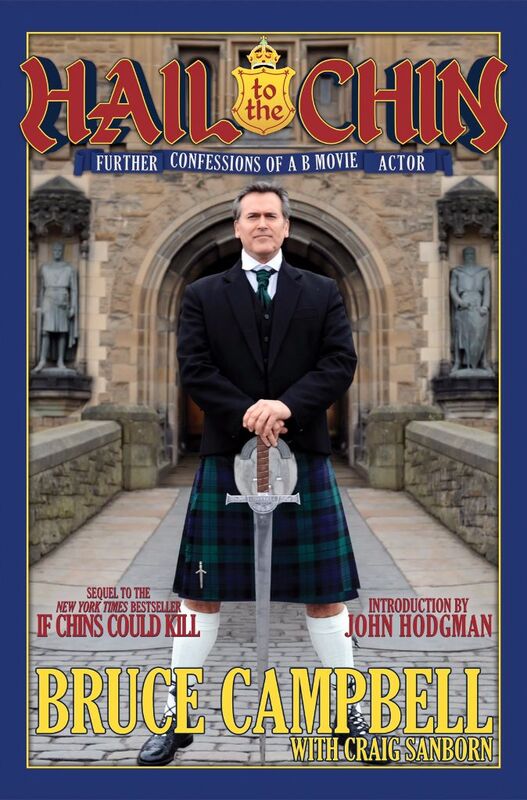 Bruce Campbell is back with his new book 15 years after If Chins Could Kill with Hail To The Chin: Further Confessions Of A B Movie Actor (Thomas Dunne Books; in stores on Tuesday, August 15). We talked about the book, the upcoming new season of Ash vs. Evil Dead, lavender and marrying people Zombies. He’s going out on tour to promote his book to 35 cities and you can see the tour schedule here on his website. You can listen to the interview below. Thanks for getting my question in there! Stellar interview with terrific info. Thanks for delving into #AVED3! You’re welcome. I had more questions but Bruce likes to talk. I actually edited some stuff out. Nothing major but made it flow better! If you live in one of the areas where he is signing go get an autograph! I am traveling to Philly on 8/16 so I will be there. It will be nice to thank him in person for his RTs of my articles. I have heard he is a talker. Nice job all around. Maybe we will meet at a press event sometime! I can’t get the interview to play on my phone. Do I need to have anything special installed to hear it?